Mckee's Auto Registration provides registration services for 5 Star Car Title Loans customers. The store is located at 7955 Broadway, near the intersection with Grove St. 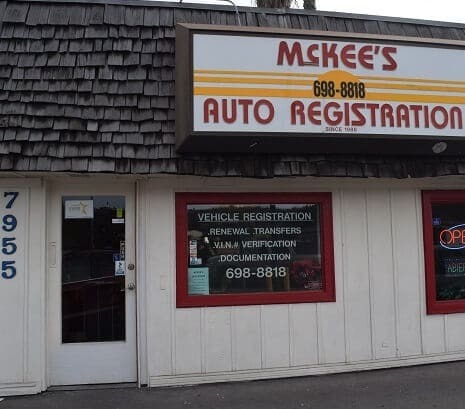 If you live in Lemon Grove and in need of registration services, stop by Mckee's Auto Registration that works with 5 Star Car Title Loans in Lemon Grove. 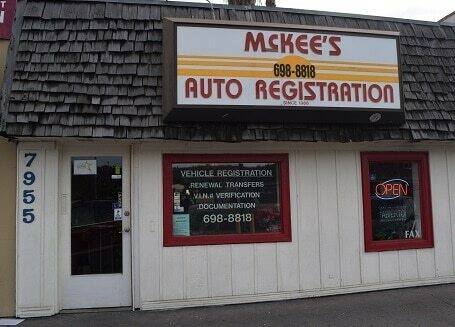 Mckee's Auto Registration provides our clients with unmatched customer service. 5 Star Car Title Loans does not issue loans at this location. Quick online loans are available in Lemon Grove from 5 Star Car Title Loans in Lemon Grove, and anyone who owns a car is welcome to apply for them. Use the money to pay old credit card bills, cover unexpected expenses or for a family event and pay it back in monthly payments. Simply put, auto title loans are just loans that use the value of your car as security, or collateral. You can apply for them online and if approved, you can still keep driving your car. There are certain criteria you need to meet that will determine how much money you can get. Well, it really depends on the value of a car that you own and your ability to pay back the loan, so each case is a little different. But in general, the maximum loan amount from 5 Star Car Title Loans in Lemon Grove can be up to $20,000. On the other hand, we also have a minimum amount for car title loans online. Our loans begin at $2,600. What About Prepayment Penalties - Are There Any? No, we will not penalize anyone who wants to pay off their auto title loans earlier than stated on the contract. We are here to help you, and if you are able to finish the contract early than go ahead! There are no prepayment penalties. Contact the office of the car title loans near you for more guidance. When Are the First Online Loan Payments Due? Once you are approved, we will all work as quickly as we can to get you the money. You won’t have to pay the first payment on your title loan until 30 days after you sign on the dotted line. After that, you can pay every 30 days. Where Are Our California Title Loans Locations? There are offices in many cities throughout California, and they can all help you with your auto title loan application. 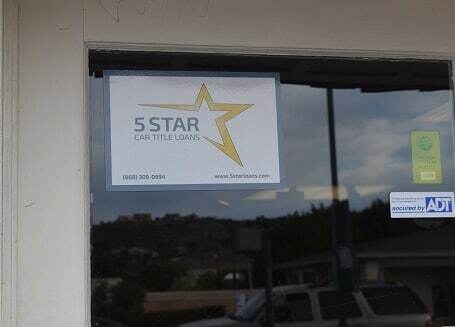 Contact 5 Star Car Title Loans in Lemon Grove online to find the California location near you. Can I Go to the Auto Title Loans Office Near Me? You can go to any of the offices for auto title loans in California. They are all staffed by friendly agents who can help answer your questions, help you send in your online application or walk you through each step of the loan process. Don’t hesitate to contact them today!